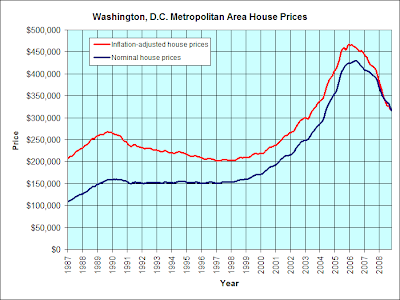 Here is an update of my Washington, DC metro area house price graph, showing almost 22 years of DC area house prices. Again, the vast majority of houses in the DC area are in the suburbs. Housing prices in the suburbs have been falling faster than in DC, itself. But the credit has its drawbacks, according to Bob Williams, a spokesman for the Tax Policy Center, which gave it a mediocre C+ grade in its Tax Stimulus Report Card. Williams points out that buyers should beware that they won't actually receive any refund for a home purchased this year until after they file their 2009 income taxes in April 2010. And he argues that the credit is poorly targeted because it goes to every first-time buyer, not just the ones who wouldn't buy without it. So, it merely provides a windfall for many people who would have purchased anyway. And in the end, a $7,500 tax credit, regardless of the details, does nothing to address the issue that's holding most buyers back — the suspicion that prices are going to keep falling. S&P/Case-Shiller released its November home price index numbers. Washington, DC metro area home prices fell 2.4% month-over-month, 19% over the past year, and 28% since the market peak in May 2006. According to the Bureau of Labor Statistics, inflation has pretty much vanished. (Thank falling energy prices.) This means nominal and real house price decline numbers are roughly the same over the past year. No surprise: Home prices fell again in November. An index of home prices in 20 major metropolitan areas fell at a record annual pace in November, to levels not seen since 2004, according to a report released Tuesday. The S&P Case-Shiller Home Price Index, a sampling of 20 cities from across the nation, fell a record 18.2% over the 12 months ended Nov. 30. That brought the index to its lowest point since February 2004. From its peak in mid-2006, the index has plunged a whopping 25.1%. Eleven of the 20 cities showed record declines, and the 12-month price drop for 14 of the cities was a double-digit percentage. "The freefall in residential real estate continued through November 2008," said David M. Blitzer, chairman of the Index Committee at Standard & Poor's, in a prepared statement. He said the 20-city index has fallen for every month since August 2006, a total of 28 consecutive months. Keep in mind that this index is S&P's "20 city" index, not its national index (which only gets released quarterly). The 20 city index is not an accurate measure of the nation as a whole because—duh!—it only tracks 20 cities. However, it does give an indication of what the national trend is like. About 45% of the transactions in December were considered distress sales, either a short sale or a home in foreclosure, the Realtors said. Many foreclosure sales are handled outside the Realtors' system and are not reported by the Realtors. The Realtors also reported that sales were up 6.5% month over month, and sales for all of 2008 were down 13.1% compared with 2007. I believe that year-over-year numbers are better than month-over-month numbers at showing the sustained trend, because month-over-month numbers are too volatile. Also, the Realtors' data for price changes are not very reliable, because they don't control for the changing mix of houses sold. The S&P/Case-Shiller home price indices (which should get released today) are more reliable for measuring price changes. The multiple listing service underestimates the number of foreclosures. This means the MLS also underestimates housing inventory numbers. There is probably even more excess housing inventory gumming up the market than current statistics indicate, thanks to a wave of foreclosures that has yet to hit the market. The National Association of Realtors calculates official housing inventory statistics using data from the multiple listing services. By that measure, there were 4.2 million existing homes for sale in November, an 11.2-month supply at the current sales pace, up from a 10.3-month supply in October. But now it seems quite possible that these figures, which are already at record highs, are underestimating the situation. And if that's the case, it could take much longer for the housing market recovery than analysts currently expect. Until supply can be brought down to a more normalized level of six to seven months, home prices will continue to come under pressure, according to [National Association of Realtors chief economist Lawrence] Yun. "It could be a worse problem than we think," he said. I'd like to commend Lawrence Yun for his honesty on this matter. I have nothing against Lawrence Yun personally, or the organization he works for. What I dislike is dishonesty. When he is honest about the outlook for housing, I will treat him with respect. The Federal Housing Finance Agency (FHFA) reported that home prices fell a record 1.8% for the month, compared with October... That follows losses of 1.2% and 1.1% in the two previous months. For the 12 months ended November 30, prices fell 8.7%, which was the largest 12-month price drop ever for the 17-year-old index. "The news in the housing markets has just been dreadful," said Moran. That bad news includes foreclosure rates that are still on the rise, record-low homebuilder sentiment and reports of modified mortgages quickly going bad again. The National Association of Home Builders released its economic outlook yesterday at the International Builders Show in Las Vegas. Single-family-housing starts, which fell 40% to 617,000 in 2007, are expected to drop to about 441,000 this year — the lowest since records have been kept. That would be a nearly 75% drop from the industry’s highwater mark of 1.7 million single-family starts in 2005. Builders are not only facing a large overhang of home inventory, there’s also the problem of the credit crunch. “Economists said lending remains so tight that many consumers won’t be able to take advantage of declining housing prices and mortgage rates,” Jim Carlton reports in today’s Journal. U.S. homebuilder sentiment sank to a new low in January as concerns about the faltering economy and reluctant homebuyers hurt confidence in the market for newly built single-family homes, an industry group said on Wednesday. The National Association of Home Builders said its preliminary NAHB/Wells Fargo Housing Market Index was 8 in January, down from 9 in December. That is the lowest level on record since the gauge was launched in January 1985. Readings below 50 indicate more builders view market conditions as poor than favorable. Foreclosures are the place to be. Low-priced, bank-owned homes are selling briskly, says market research firm MDA DataQuick. Newly-built homes, on the other hand, are sitting on the sidelines. In 2008, the US lost 2.6 million jobs according to the Bureau of Labor Statistics. In the last two months of the year the job losses really accelerated (see chart below). It is well known among economists that large job losses put stong downward pressure on home prices. As job losses continue to be high in the first quarter of 2009, expect job losses to play an increasingly large role in further reducing home prices. Nearly 34 million people moved in 2007, according to the U.S. Census. But where are they going? ... These 10 cities drew the most interest. Circuit City is being liquidated immediately. Circuit City is being liquidated immediately. If it is still open this weekend, you may want to look for a going out of business sale. Anyone with Circuit City gift cards should use them immediately. Any product returns should be done immediately. 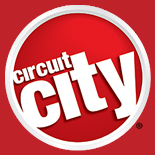 Update: I went to Circuit City on Saturday. The discounts are lame. 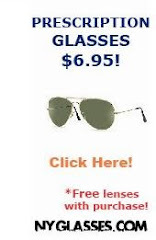 You can get better discounts from Amazon.com. Update #2: CNN Money has a warning about liquidation sales. Here's an interesting quote from the article: "It's almost a scam and there's nothing illegal about it." Of all the various parties who contributed to the boom and bust in housing and credit, none have escaped more unscathed than the National Association of Realtors, and their former Baghdad-Bob-in-Chief, David Lereah. The NAR turned a blind eye to fraud amongst realtors in terms of referrals to corrupt appraisers and mortgage brokers. They constantly cheerleaded prices, despite evidence to the contrary. For 3 years, they have been forecasting 2nd half price recoveries, dissuading realism amongst home sellers. They continually spun data, presented misleading commentary, and otherwise engaged in behavior that could only be characterized as sleazy. I find EVERYTHING out of the NAR to be suspect, tainted and generally worthless. The NAR Housing Affordability Index is essentially worthless; from 1989 - 2009, the NAR showed housing as “Unaffordable” for just one month. It is especially notable that mainstream journalists, while accusing many on Wall Street and in government of wrongdoing, has let the National Association of Realtors off the hook. I suspect the journalists are just protecting what they consider a valuable news source. "Don't bite the hand that feeds you," as the saying goes. 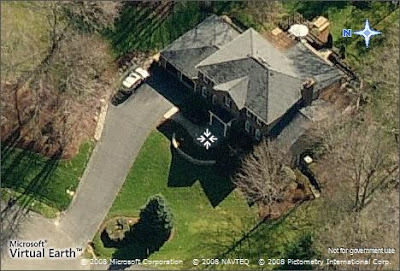 As long as I'm on a David Lereah kick, spurred by the recent Wall Street Journal article about him, here's a satellite photo of his house (which he bought exactly seven years ago today). As the article says, he works at home nowadays. Here is the value of David Lereah's home, over the past five years. The green line represents the value of his home. The yellow line represents the value of the median home in his zip code. The links on the Bubble Meter Blog have been updated. Sites which have not been updated in a long time have been removed. Mr. Lereah, who says he left NAR voluntarily, says he was pressured by executives to issue optimistic forecasts -- then was left to shoulder the blame when things went sour. "I was there for seven years doing everything they wanted me to," he said, looking out his window to his tree-filled yard in this Washington suburb. Mr. Lereah now works at home, trying to rebuild his career and saddled with a sagging portfolio of real-estate investments. Soon, mainstream economists and the press were calling him out. "I thought it was criminal that he kept saying we'd reached bottom," says Ivy Zelman, former housing-market analyst at Credit Suisse and now head of her own housing-sector research firm. She says she dubbed Mr. Lereah "Mr. Liar-eah." Mr. Lereah says he was starting to worry about the housing market and tried to tone down his optimistic comments.... He says his critics nevertheless "became vicious." Mr. Lereah's real-estate portfolio has taken a hit. He says his 3,068-square-foot five-bedroom, 5½-bathroom brick house has lost about 20% of its value in the past two years. ... His condos are down, too. He now says housing prices won't recover for some time. The article also says he likes to drive to Dunkin' Donuts or McDonald's every morning. The Dunkin' Donuts shop closest to his home is right across the street from GMU's main campus. If memory serves me correctly, there's a McDonald's in the same shopping center. For more on David Lereah, read David Lereah Watch. This 6 bed/3.5 bath home in Bristow, Virginia is for sale for $225,000, which is about $145,000 less than Zillow's estimated value. It last sold for $595,000 in 2005. According to Zillow, the monthly payments for this house would only be $1,200 per month (assuming a 20% down payment, good credit, and a 30-year fixed mortgage), which is less than my current rent. The claimed square footage is 3,000 sqft. The only downside: The commute to DC will take about an hour, assuming good traffic. 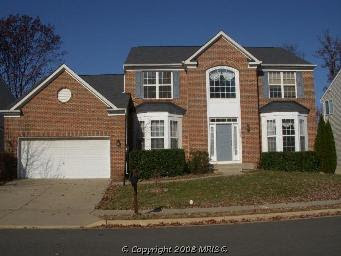 For anyone interested in buying this short sale, the listing website is here. Photos of the interior can be seen here. The Zestimate took into account 1600 Pennsylvania Avenue’s physical attributes, recent comparable sales and local market trends. The 55,000-square-foot White House has 132 rooms, 35 bathrooms, 16 bedrooms, 3 kitchens, and 18 acres of land in downtown Washington, the Web site said. 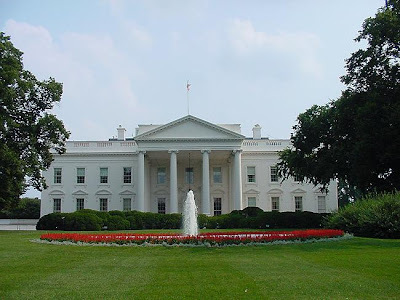 “Zillow’s statisticians deemed the White House the most historic home in America and applied a maximum historical premium to their models to determine a Zestimate value today of $308,058,000,” the Web site said. Just one question: What the heck did they use as "comparable sales"? Lennar's stock fell 20% on Friday, due to the fraud allegations. The recession will probably pull rents even lower, Davidoff said, further delaying a real estate recovery. "There's weakening demand for all types of housing due to the economic downturn," he said. Fox-Pitt Kelton home-builder analyst Robert Stevenson said Wednesday he thinks this year will turn out to be "a bad time to buy a home" as the U.S. economy loses more jobs, especially if buyers don't plan on staying in the house for at least several years. National home prices were down 23% from their July 2006 peak through October, and Stevenson at Fox-Pitt predicted an incremental 20% drop in prices before bottoming, a peak-to-trough decline of roughly 40%. The analyst's bearish outlook is based largely on escalating unemployment, and jobs are the lifeblood of the housing market. "As if 2008 weren't bad enough for housing — given the mounting foreclosures, falling home prices, and a tightening credit market — millions more Americans are now in danger of losing their jobs," said Stevenson at Fox-Pitt. "As unemployment heads towards 8%, we expect foreclosures to spike, taking home prices down materially." The real estate market has declined dramatically in the last couple of years. With Washington, bailing out various industries, the real estate industry has lined up at the trough, pleading for assistance from Washington. There is already too much investment and too many subsidies of the real estate market. The government should not approve any real estate focused stimulus plan. The real estate industry has been discredited and cannot be trusted. Mr. Yun should be ashamed of his shameless shilling for the economic pariahs that are the National Association of Realtors. Unfortunately, it is in the nature of economic and financial forecasting that being right too soon is insignificantly different from just being wrong. And forecasters that are wrong when most of their community is also wrong never suffer for it. The trick is to be right just a little bit sooner than everyone else—but only a little bit. Last week, the Presidential Inaugural Committee announced that we're bringing 10 supporters to Washington, DC for several days of Inaugural celebrations. With the deadline coming up on Thursday, I'm pleased to announce the selection of the first grassroots supporter who will be attending the Inauguration. Cynthia Russell from Newberry, Florida, and her guest will attend the welcome ceremony, Barack's swearing-in, the Inaugural Parade, and our Neighborhood Inaugural Ball. "I'm a single woman who has been building homes for over 18 years. I've supported myself and have been able to help out my mother from time to time. Now I find myself wondering how much longer I can hold on and be able to pay my bills and keep the doors open for business. Barack gives me hope. Hope that 2009 will truly bring change to Americans who find themselves in this mess with me." I bet Cynthia wasn't complaining when homebuilders were raking in cash during the first half of this decade. Clarification: If you notice, on the left side of the slide it says "annual change" and covers seven years (2000-2006). The middle and right says "annual change by month" and covers 2007 and 2008. When I posted the slide, I actually didn't notice that the left side isn't monthly data. In retrospect, it is a confusing graph. Sorry. Conventional wisdom states that the Washington, D.C. metro area is insulated from the recession because of all the government jobs here. Well, according to this table, the District of Columbia is experiencing a higher than average increase in the unemployment rate. That 2.3% increase in unemployment is the 12th worst in the nation, counting all 50 states plus D.C.
For those who insist on distinguishing between D.C. proper and the broader D.C. metro area, the unemployment rate statistics are for D.C. proper. Two weeks ago, thanks to more promises from the federal government that it would buy more mortgage-backed securities, mortgage rates plunged to the point where the rate on the 30-year fixed looked like a teaser rate on a subprime circa 2006. It wasn’t quite the 4.5 percent that some housing gurus are calling for, but it was close enough. One week later, no surprise, the weekly applications survey from the Mortgage Bankers Association showed a surge with volume up 48 percent from the week before and up 124.6 percent from the same week a year ago. Great news, right? Only if you’re into refis. The refinance share of mortgage activity increased to 83 percent of total applications, from 77 percent the week before and 53 percent a year ago. So that means that the vast majority of people taking advantage of these low low rates are not actually buying a new home, just saving money on their current home. That’s helpful to those who might have been in danger of default, but it isn’t exactly a jumpstart to home buying. So suffice it to say, it’s going to take more than low interest rates to get people buying enough homes to add more weight to any kind of recovery. I was gone for Christmas, so I missed this. I hope you enjoy it anyway.